The Football Association of Ireland and the Irish Football Association should be merged for the good of the game, Foreign Affairs Minister Dermot Ahern said tonight. The politician also pointed out that an all-island league would generate more income for clubs and provide more players for a re-constituted national team. However, up to 30 sporting bodies, including those that govern rugby and cycling, are now organised on a north-south basis, and Mr Ahern believes football should follow. Mr Ahern said: 'I believe the time is now right for both football organisations to sit down together for serious discussions on the basis that together they can achieve so much more than remaining apart. 'When they balance the pros and cons of having one all-island football organisation, the ledger will, I believe, come down heavily on a harmonious coming together of two noble Irish football traditions and organisations,' he told the annual dinner of the Soccer Writers Association of Ireland in Dundalk. Mr Ahern said circumstances are totally different now compared with when both governing bodies split in the 1920s. The minister added that he welcomed the fact both organisations were working closely with UEFA to host the 2011 Under-21 European Championships. 'The fact that UEFA asked both the FAI and IFA to jointly host these championships underlines what can be achieved together,' he said. The Irish Government are to announce their National Development Plan (2007-2013) - a multi-billion euro investment programme which will include measures for north-south integration. 'Belfast is now just two hours by train and road from Dublin. The relationship, the respect, and the solidarity is growing stronger all the time,' Mr Ahern said. The FAI have responded to the Minister's remarks saying they will continue to expand upon the positive relationship they have with the IFA. 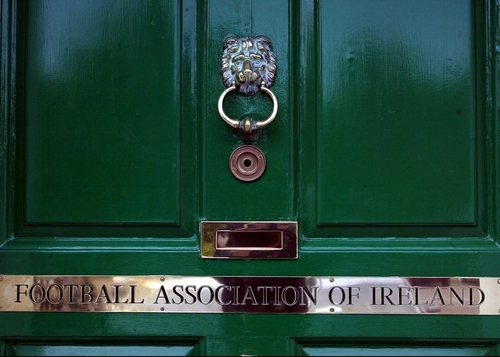 In a statement, the FAI said: 'There is already a very high degree of positive co-operation between the Football Association of Ireland and the Irish Football Association and it is growing year by year. 'There is already a very high degree of positive co-operation between the Football Association of Ireland and the Irish Football Association and it is growing year by year.